The venting on your wood pellet stove can be installed horizontally, vertically or both. The exterior vent allows for proper air flow within the stove, and for the escape of exhaust. If it’s blocked by dense snow – your stove’s ability to ignite and/or stay burning efficiently could be hindered. A common exhaust setup is horizontal – straight through the exterior wall (See Fig. A). If your wood pellets aren’t burning through fully – this blockage could be the reason…because the exiting air is an important part of your stove’s operation. (See Figure B). A similar kind of venting is through the wall with a vertical rise (See Figure C). Vertical piping raises the exhaust further up the exterior wall. This kind of setup creates less risk of snow blockage. However, there’s a possibility of some blockage by strong snow drifts, or a very large snow accumulation. Pellet stoves can also have exhaust vents exiting through the roof – with some variations (See Figure D). If your roof has heavy snow piled up that hasn’t slid off or been pushed off, the vent could be blocked. Proper air flow is key for efficient pellet stove operation. 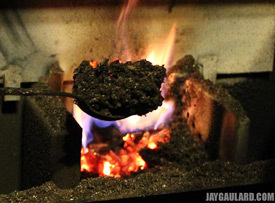 Make sure to check for blockage – no matter how your stove is vented. Please let us know if you have any questions or concerns about your pellet burning experience. Woodpellets.com Quality Certified fuels are backed by a Quality Guarantee, which is valid for a full 30 days after your delivery date. Call 1-800-PELLETS to Speak to an Expert! If you purchased the pellet stove in your home, you probably did a lot of research by reading reviews, comparing prices, learning about available features, and so on. How much do you look into pellets before you make a purchase? It’s a good idea to check out the brand’s heat and ash specifications before you buy. The higher the ash percentage, the more leftover ash you’ll experience – which correlates to how frequent your cleanings will be. Higher quality pellets have lower ash percentages, which means less maintenance for you. As for the heat output, the higher the BTU/lb number, the hotter the burn of course. 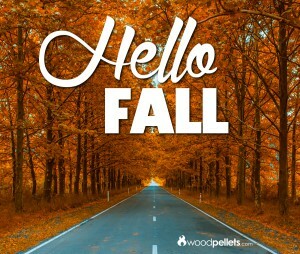 Today is the first official day of Fall! This means it’s time for apple picking, pumpkin carving and soon…..firing up your wood and/or pellet stoves! We can assure you that we are working diligently to get orders out to our customers as quickly as we can. However, pellets cannot be delivered immediately after ordering. (Lead times vary by region.) 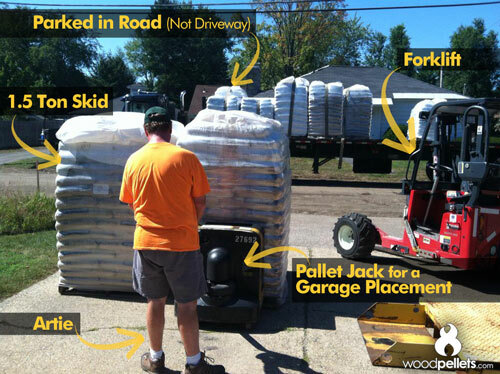 If you haven’t ordered your wood pellets or wood bricks yet, we strongly encourage you do so as soon as possible in order to secure your fuel and get into our delivery queue. It’s not our supply we are warning you about, because we have considerably more pellets than our customers have ordered from us, at any given time. We are just providing a friendly reminder to place your order sooner rather than later to get higher on our delivery list. Whether you choose to stick with us this year, try us out for the first time, or order elsewhere…order as soon as you’re able. 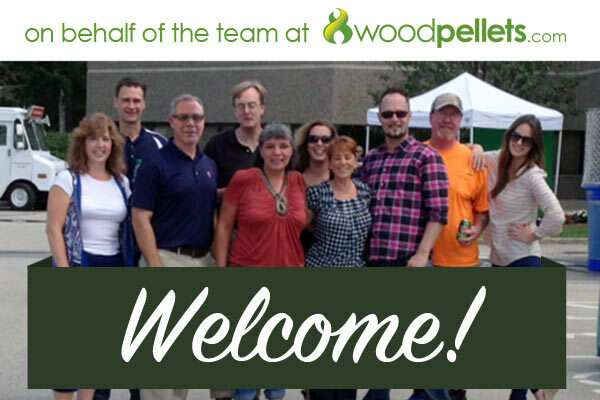 Our customer service representatives are standing by at 1-800-PELLETS, and our website (www.woodpellets.com) is always available for orders, 24/7.